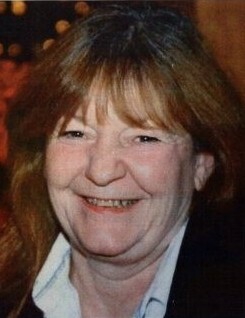 Margaret Sickels Thomson, age 66, of Philadelphia, PA formerly of Matawan, NJ passed away Tuesday March 19, 2019. She was born in Fitkin Hospital, Neptune on March 11, 1953. She attended St. Joseph's RCC Grammar School, Keyport, Matawan Regional High School Class of 1971 and Stuart Business School, Piscataway. She was predeceased by her father Leroy H. Sickels Sr. in 1981, her mother Margaret Devlin Sickels in 1984 and her husband Kevin Thomson in 2016. Margaret is survived by her son Kyle Thomson of Hermosa Beach, CA, a sister Mary Louise Cottingham of Eatontown, a brother John T. Sickels of Eatontown and a brother Leroy H. Sickels Jr. of Matawan.